I think it was last month when I last visited McKinley Hills because I was so bored then, and I thought I just want to visit the place, just to keep myself updated on what’s going on next to my city. I mean, sometimes I find myself kind of stupid, when I didn’t know what’s going on, ended up not updated. Duh, I just felt responsible that I must keep myself updated. 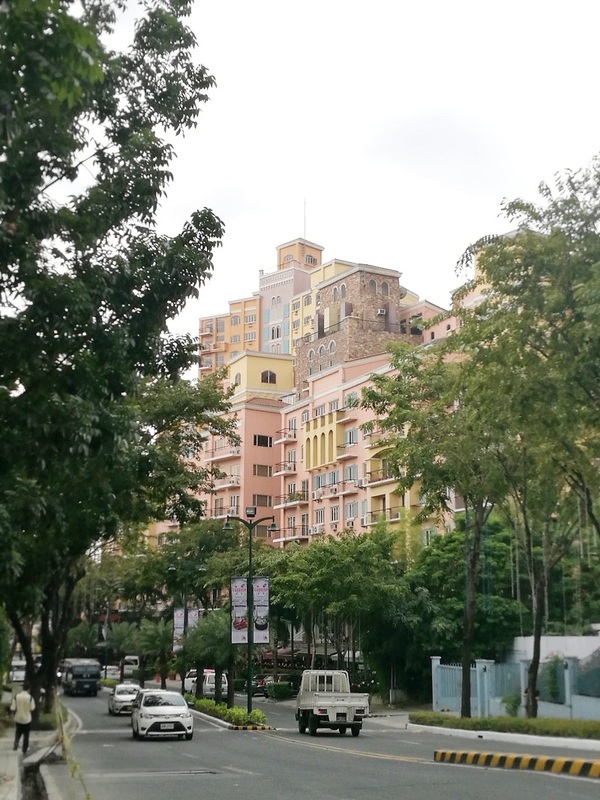 So one Saturday afternoon, I was in McKinley Hills particularly at Venice Piazza and just have a site seeing – a kind of lame activity for some, but I do enjoy doing it. That is also the time when I heard the opening of Mumuso Philippines, which I also ended up shopping for my favourite beauty items, and also took some photos that I’ve shared here last month. But am telling you, when you goes outside Mumuso store, you will not help but feel awe with this gorgeousness facing you delightfully. 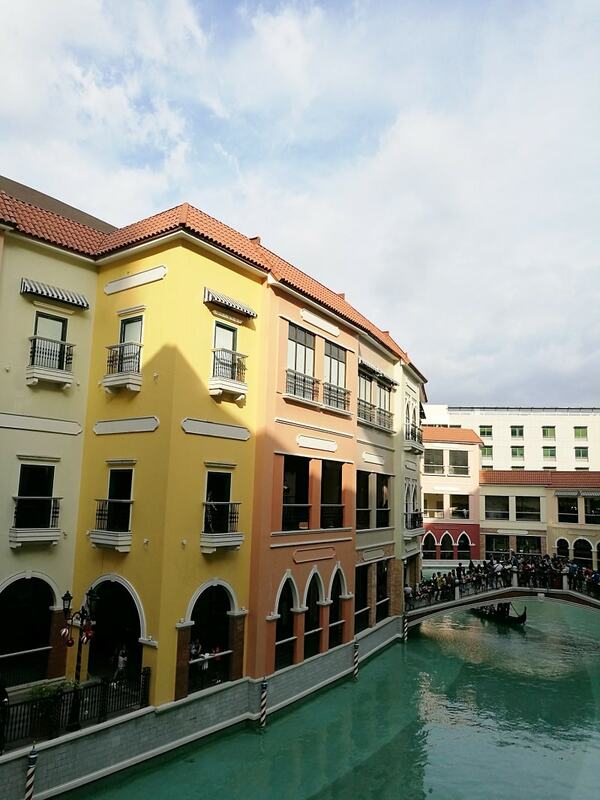 The gorgeous modern architecture inspired by the Venice Canal in Italy, makes you believe in romance again. Had a similarity with the Venice in Macau… the only difference is that in McKinley you see an open blue sky and that is not miniature. Those three high-rise towers at the back are luxury condominiums that are constructed by Megaworld Corporation. So after shopping at Mumuso Philippines (actually I’ve forced myself to leave the premises as I got so excited I might ended up ripping my cards again, lol) I roamed around the Venice Piazza Mall and checked the businesses that are already opened. 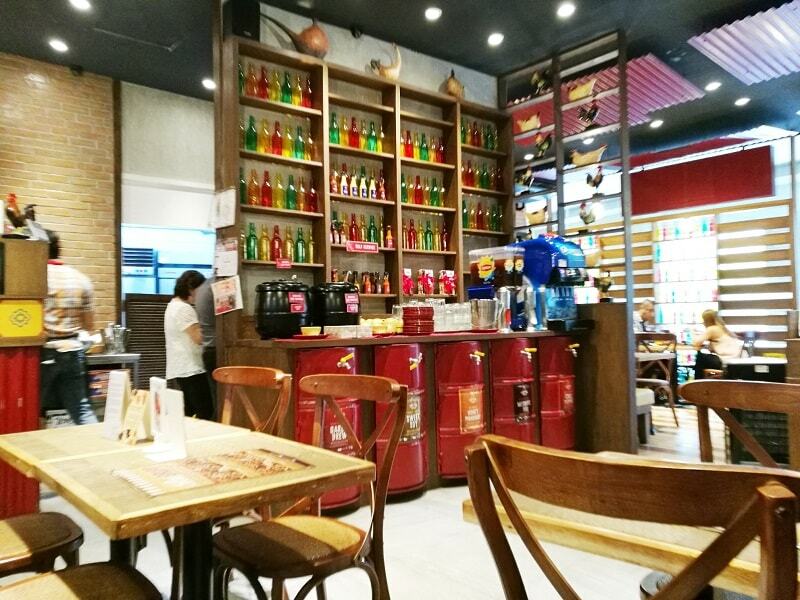 And I stumbled with this Peri-Peri Charcoal Chicken Restaurant and Sauce Bar, located at the Ground Floor of the Venice Piazza near the Main Entrance. Maybe my eyes was got caught with these interesting colored empty bottles, that they’ve displayed like some kind of pop art, so I decided to dined-in. 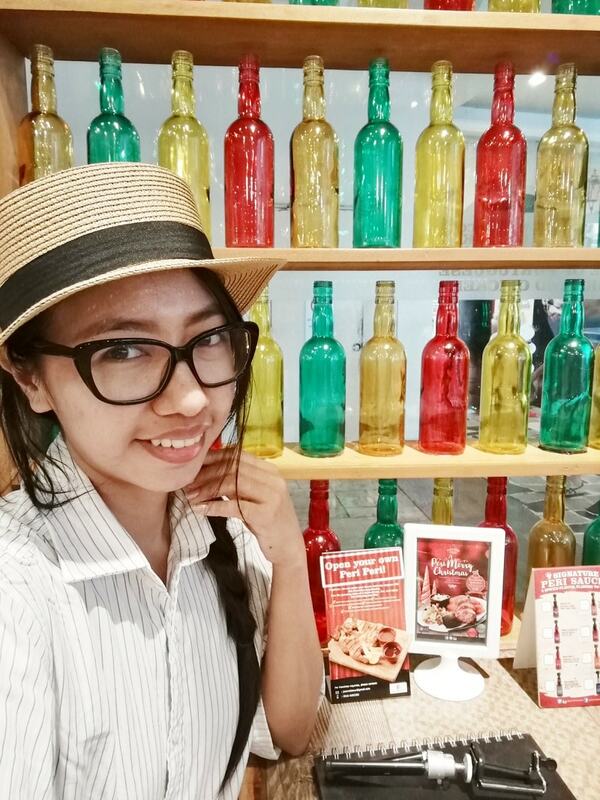 Okay the colored bottles are indeed eye catchy, which I don’t know but it makes me feel hungry that afternoon, LOL. And whatever the purposes of these bottles, it is effective! 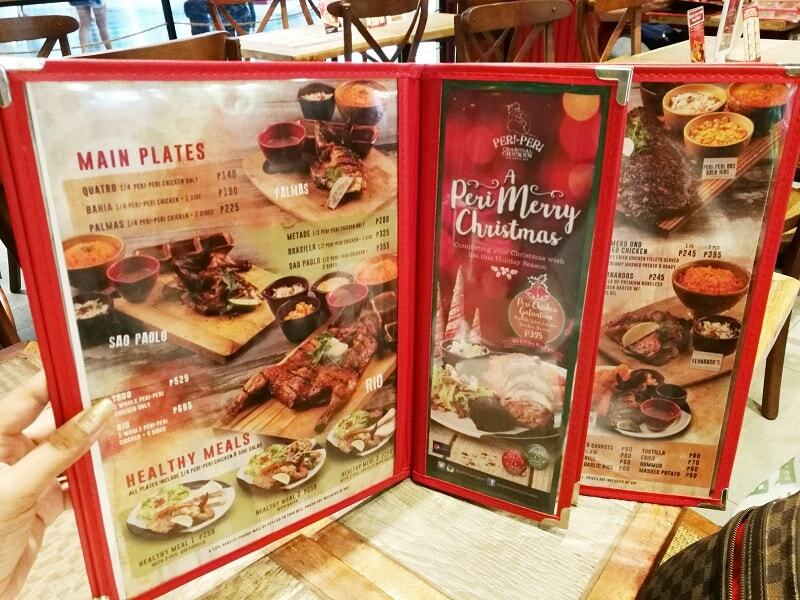 The places looks cozy and homey, well lighted and is very accessible to the customers. I felt lucky then than when I dined, there are only few customers inside (so if I find out that it is crowded, definitely I wasn’t there, lol). I just learned that this restaurant is inspired by a story about this group Portuguese explorer who sailed overseas in a mission to find good source of richness and new life, and spices (Yeah way back then Portugal and Spain are tough competitors in discovering new worlds). Then they discovered the African Bird's Eye Chili called Peri-Peri. And because of this discovery Portuguese explorers happily reported back to their Masters their discovery – the start of using spices to their cuisine. 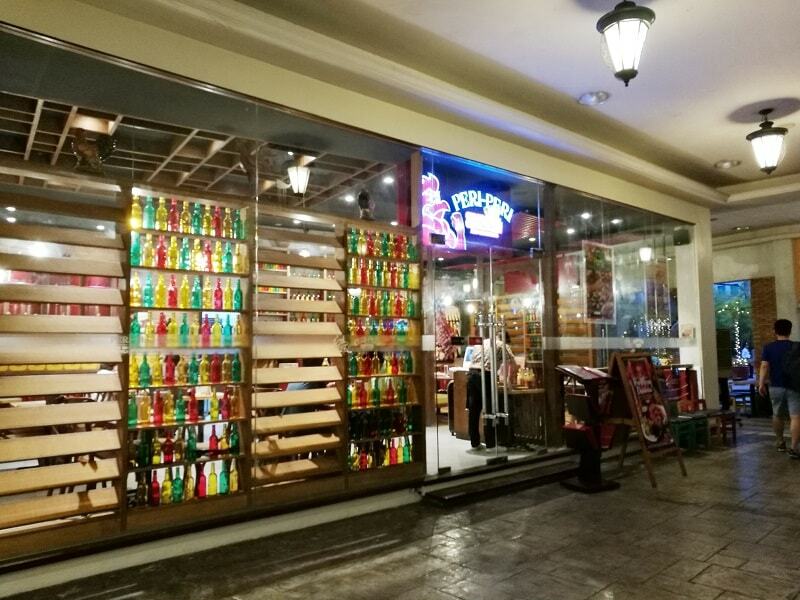 And the team of Peri-Peri Charcoal Chicken Restaurant & Sauce Bar here in the Philippines are inspired with this discovery (who knows that the owner of this restaurant has a fascination for exploration hundreds of years ago, haha). The restaurant and the owner per se Mr. Bryan Tiu takes pride in using unique blend of herbs and spices from Africa for its marinade, as well as a vast range of sauces to go with the chicken, hence the Sauce Bar! 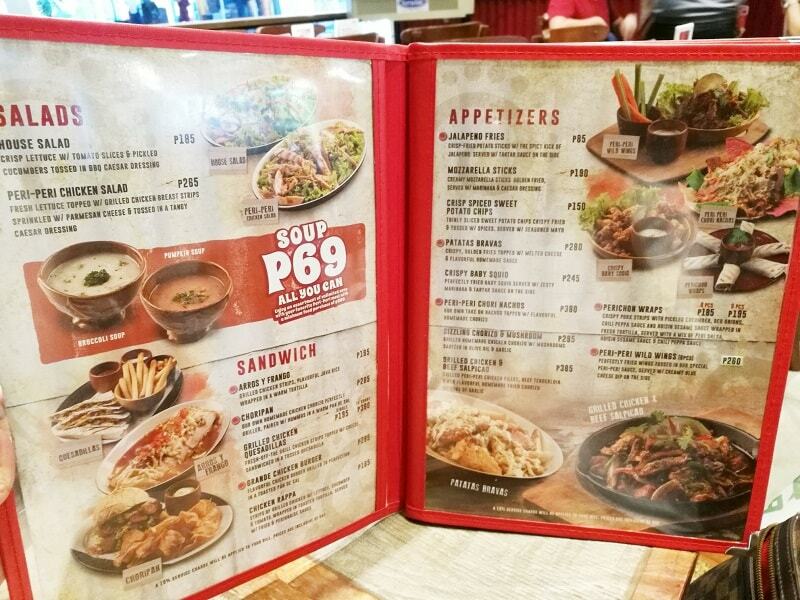 Here are some of the snapshots of their menu, and you have many choices that your tummy will be so happy. 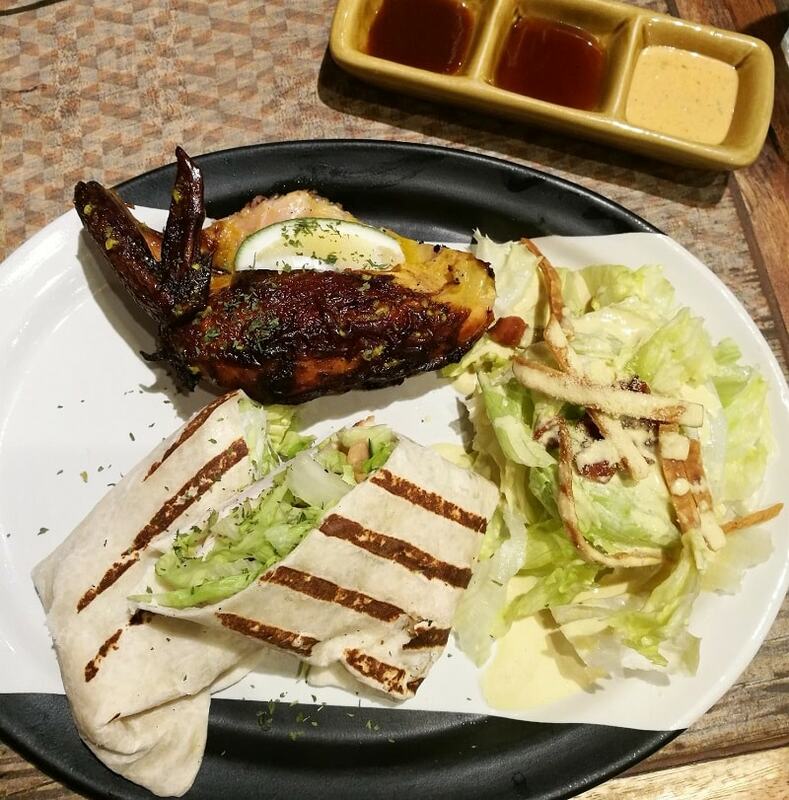 Am not a heavy meaty-eater, so this restaurant is perfect for me – I can eat chicken and it’s also my favourite. I’ve ordered Healthy Meal Set 2 with Rappa, and I find it very satisfying. I mean I only have a small tummy, and I think this serving took me more than hour to finished! Hahaha yeah I find the serving huge for me, but I know that for some it isn’t. Did I also mentioned that they also have a Sauce Bar? Yes, and believe me they have eight (8) fantastic sauce to choose from according to your foodie palette, or better yet asked for their 8 sauces and have a feasts! Signature Peri-Peri Sauces Bar, composed of Eight (8) playful flavors to feast! 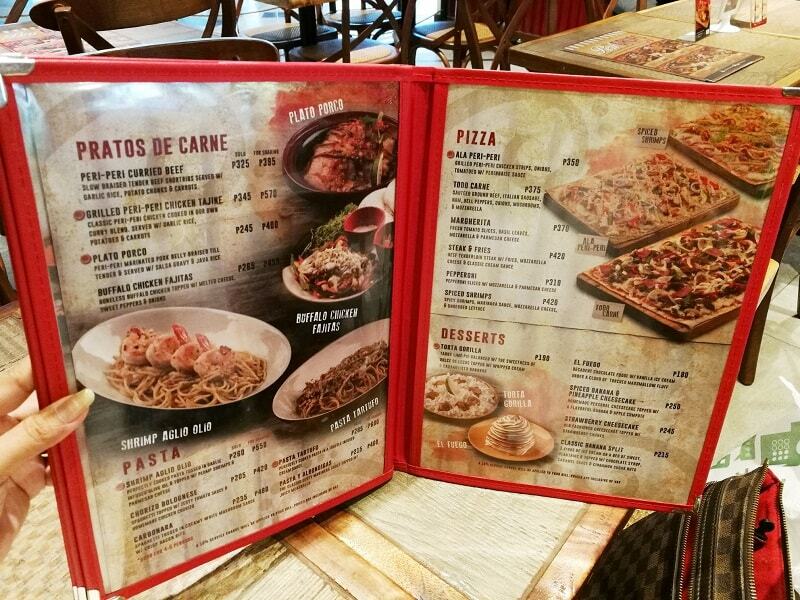 And if you are a sauce-lover, oh surely you will love these choices as much as I do. You might be ended up ordering another whole charcoal grilled chicken for this matter. Plus they served generous about of sauce, so no more eyebrow-crossing when you ended up wanting for more refill, hahaha. Am not sure yet if they are selling sauce alone in a bottle (ohh please Peri-Peri team, please do because I want to buy those eight!) But hope they do (fingers-crossed). 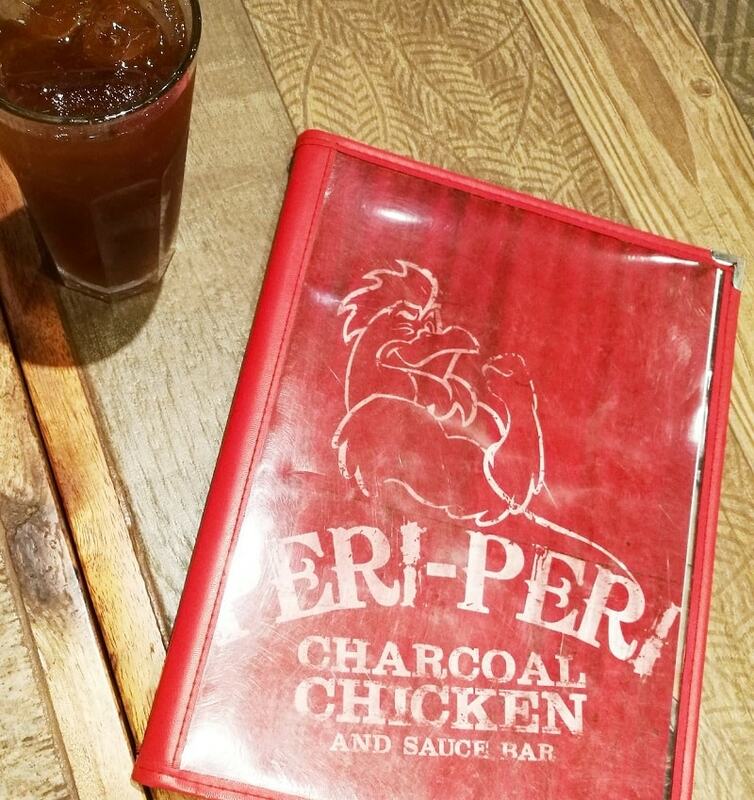 My feet are well rested and have a happy tummy, now sitting comfortable at Peri-Peri Charcoal Chicken Restaurant. Geez I still can’t get over with these colored bottles – it really inspires me to be more creative that week, and eat more! 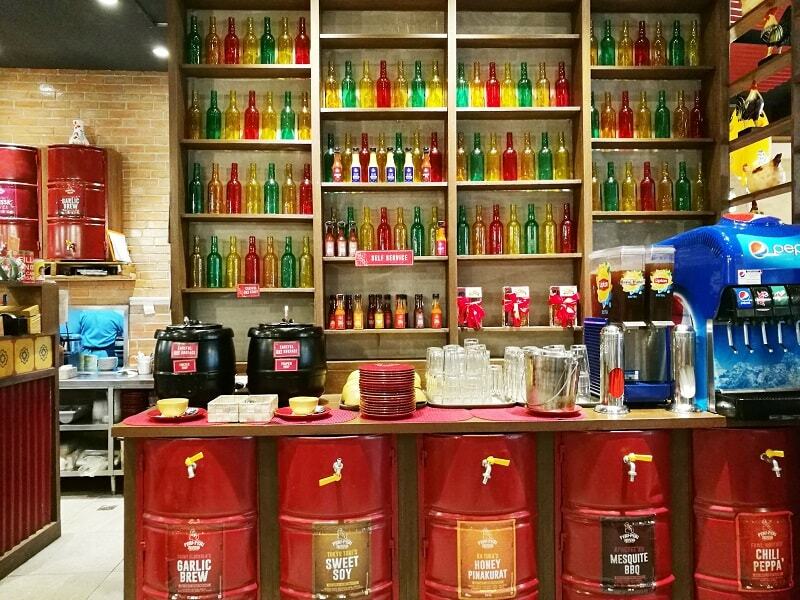 I’ve also checked their page, and aside from this branch at Venice Piazza McKinley Hills, they also have branches located at Capitol Commons, SM City North EDSA Annex, Promenade Greenhills, and Robinsons Mall Bacolod, SM Megamall Solenad Mall in Nuvali and Eastwood City Mall. And two years ago, they also opened their first overseas branch located in Myanmar. 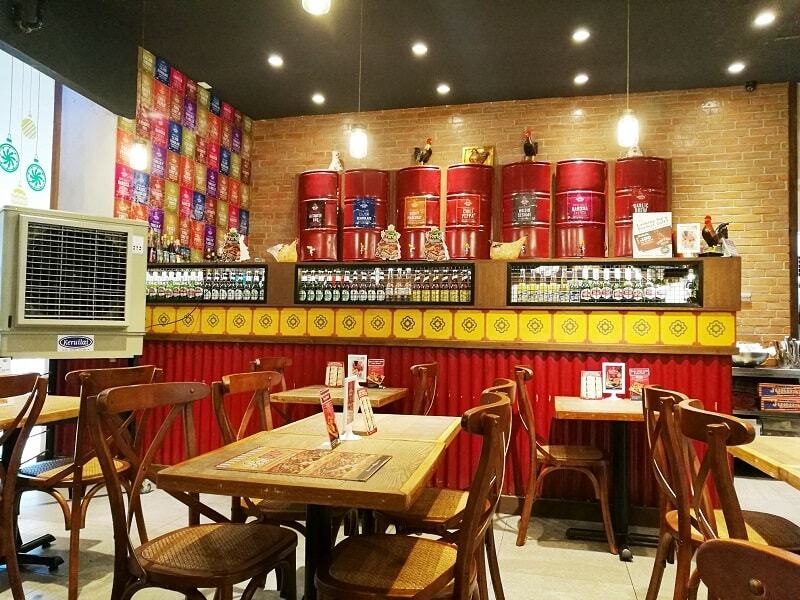 So when you are visiting Myanmar you might want to check this Peri-Peri Charcoal Chicken Restaurant and Sauce Bar, a Filipino owned foodie hub. I leave the restaurant so full and honestly a bit sleepy, and I decided to have a little walk around Venice Piazza. It’s already night-time and before I went home, I should have at least take some pictures. 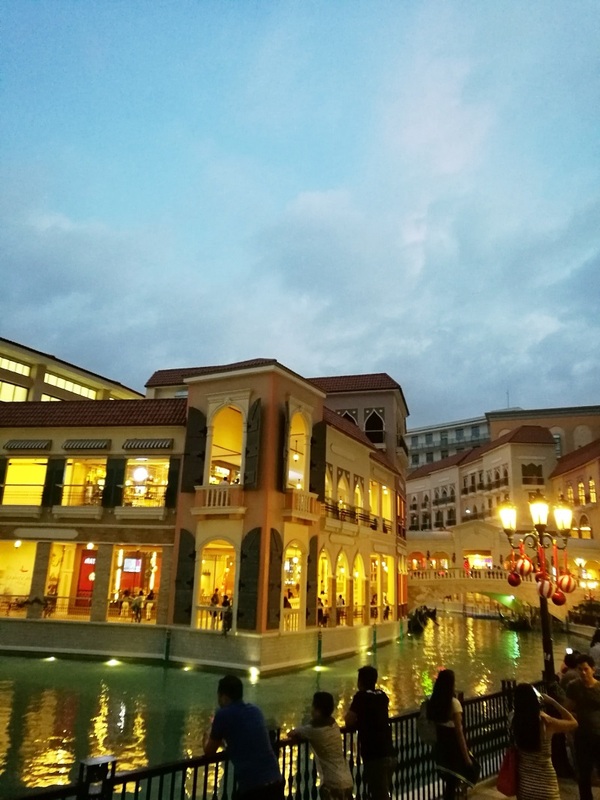 You see, this mall has almost finished its construction and this place has been drawing many weekenders, around the area because of this buildings’ architectural design inspired by the actual Venice in Italy, and kind-of like a sister-like of the one in Macau. It was beautiful sight and as a local, somehow you will feel like you are not in the Philippines. Crowds can’t help but gather many photos as much as possible, pose with their family, friends, and with their lovers. And my romantic side says, it’s hard to ignore this beautiful view. And my practical-uber-cynical-side says, it’s kind of annoying sometimes seeing tons of crowds of bystanders taking photos next to your table while you also want to enjoy your delicious dinner and enjoy the view. Yeah sometimes are too blunt, and I like to keep it that way. I think the management should established a crowd control both for the safety of the people, the businesses per se, and the mall. 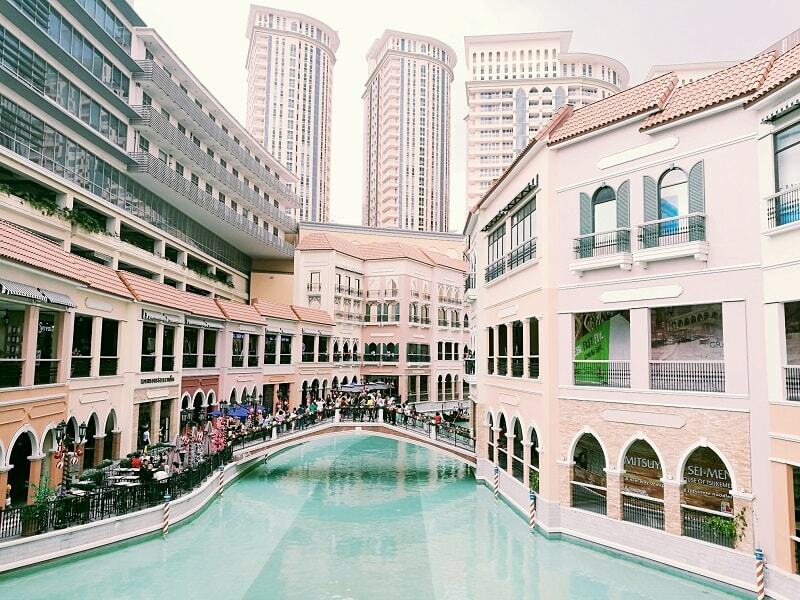 Have you been to McKinley Hills, visited the miniature Venice Canal, or dined with any Peri-Peri Charcoal Chicken Restaurants? I would be glad to hear your thoughts, and leave your comments below! I have not been to hat restaurant yet, but I love sauces on my BBQ chicken. I hope that they would sell the sauce too. I think they also sell it in mini bottles! Nice cafe. I love the healty food menu. The mall is nice also. A good way to recycle bottles, right! How about collecting interesting empty wine bottles? I used to do that! I still have few collection. This area looks like so much fun! That food looks delicious. I'm all about trying new sauces to dip my chicken in. This is perfect for all sauce-lovers! 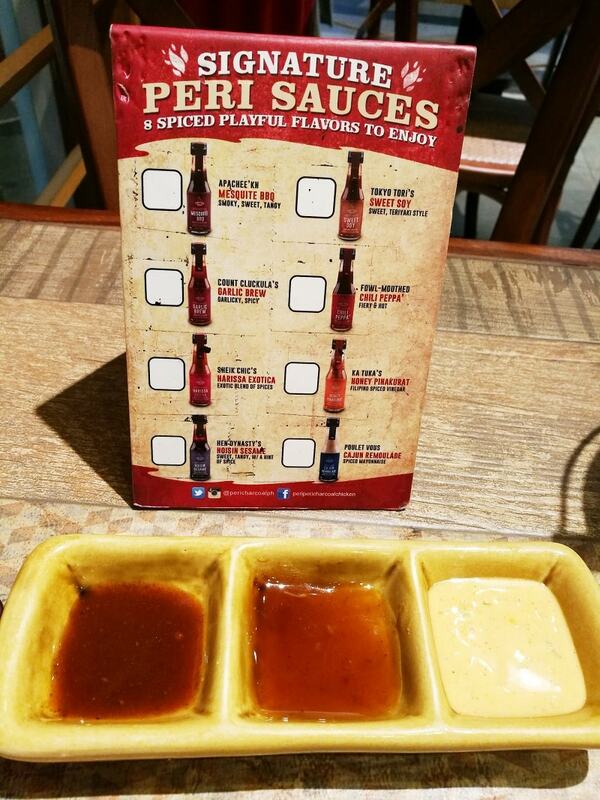 I love that this restaurant has so many sauce options. This sounds delightful. I love chicken and I love your photos. So pretty! Thank you Beth! Am craving to visit Peri-Peri again! Yeah a bit small, but for me I find it big for my appetite. Chicken here in the Philippines are small. YUM! There's a Peri-Peri restaurant in DC and I fell so in love with their sauces that i bought myself a few bottles so I can recreate the taste at home! I haven't used them yet, but your post brought me some inspiration to do so! That is lovely! That's your two most favorite sauce? Hello dear! Thank you for visiting and maybe you should visit the nearest Peri Peri restaurant in US. The architecture is incredible. I would love to go here. The food looks yummy. These pictures are all so gorgeous. I love love love the sauce bar. I love trying my food with different sauces, it can really change the taste! If there is a delicious sauce, then I couldn't help to eat more. No more dieting! I've been wanting to visit this place! It's really nice! 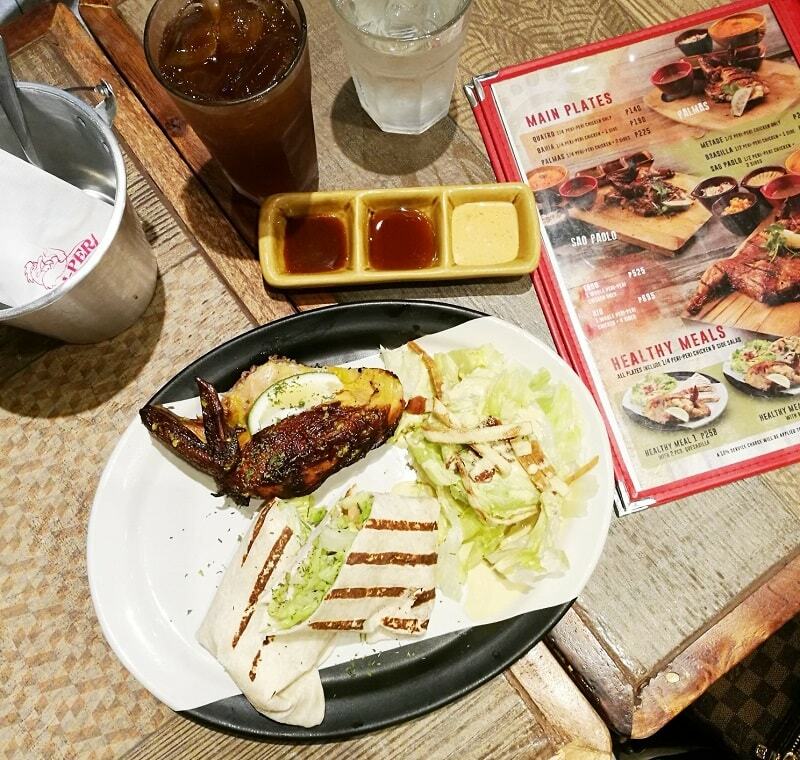 And the peri-peri charcoal chicken looks delicious! You definitely must visit them and taste their awesome foods and those sauce! It's so funny to read this post, because a similar restaurant opened up close to where I am based, with the same concept of peri-peri chicken, but called Nandos. I'd love to compare them both and taste the difference. Love your delicious pictures!